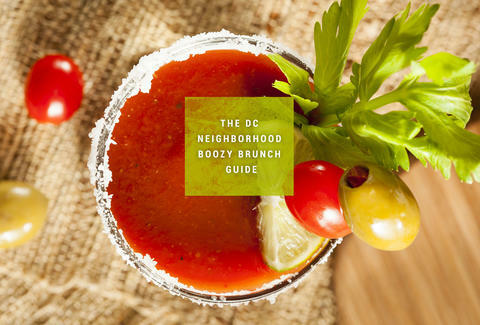 DC has a work hard/play hard attitude, and it plays PARTICULARLY hard when it comes to brunch. Case in point, these brunches where the booze involved will make sure working hard come Monday is something of a challenge. The deal: $30 gets you a three-course meal and entry into the brunch known as Le Boum, which is quite possibly the most baller brunch in all of DC. You have to book a table weeks in advance because of how popular it is, and you have to buy drinks, but trust, it’s worth it. Tables seat at 10am and 2pm. The deal: $30 gets you a buffet that offers everything from waffles to sushi, you have to pay for drinks but bottles of Champagne are pretty cheap. Oh yeah, there’s a drag show. Did we mention that? The deal: $15 gets you bottomless mimosas, and it runs from 10am to 3pm and around $18 gets you an entrée from its Southern-inspired menu that includes everything from chicken and waffles to shrimp and grits. The deal: $15 gets you bottomless mimosas or Bloody Marys for three hours. Try the $12 steak and eggs. The deal: $7 gets you bottomless mimosas for two hours. The food is… plenty good, given those drink prices. 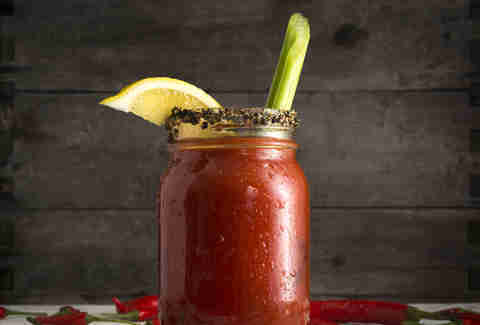 The deal: $15 gets you endless mimosas or Bloody Goats (the house-made Bloody Mary). Try the crispy pork. 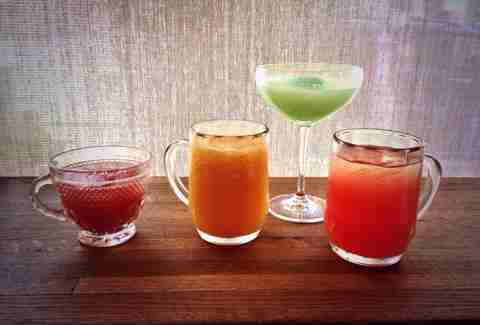 The deal: Bottomless mimosas or Bloody Marys are $15 starting at 11am. Order the truffled grits and pork belly. The deal: Unlimited mimosas for $14 on Saturdays and Sundays from 9am-3pm, with an attentive wait staff that keeps your glass full. The deal: $13 for unlimited mimosas from 11am to 2pm on Sundays. Don’t miss the croque madame. 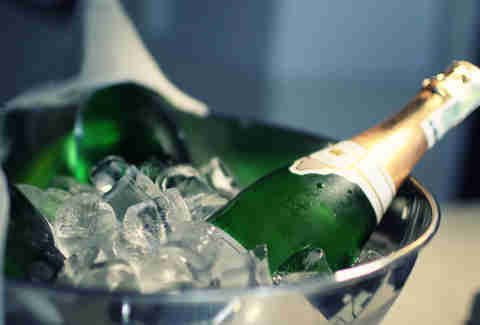 The deal: $15 for bottomless mimosas from 11am to 2:30pm every Saturday and Sunday. 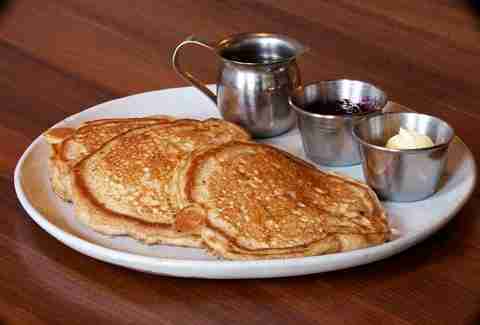 The buttermilk pancakes are incredible. The deal: From 11am-3pm on Sundays, $15 will get you bottomless peach Bellinis or mimosas. 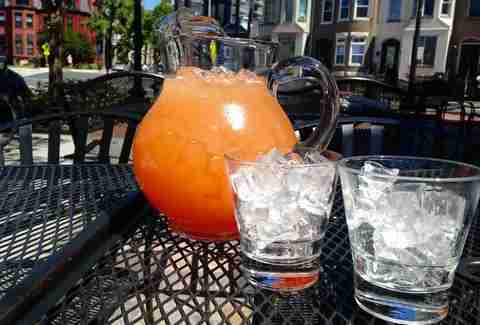 The deal: $15 gets you bottomless mimosas from 11am to 3pm. Get the Vendetta Burger, and play bocce on the courts. The deal: $30 gets you a buffet brunch complete with honey pot fried chicken. Unfortunately there’s no bottomless option on most weekends, so order some of its massive punch bowls and split them with your friends. The deal: $28 gets you two courses plus bottomless Champagne or mimosas every weekend from 11am-3pm. Also it serves duck and waffles. The deal: Endless bubbles come in four flavors for $18 on Sundays from 11am-2:30pm. The deal: There aren’t any bottomless drinks at The Heights, but there is a specialized Bloody Mary menu that will more than do the trick. The deal: Sunday from 10am to 4pm, enjoy Georgia Brown’s infamous jazz brunch. 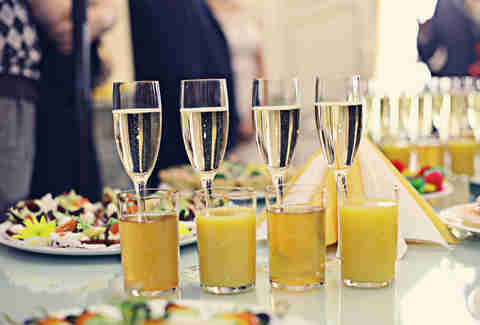 $25 for bottomless mimosas and Bloody Marys. 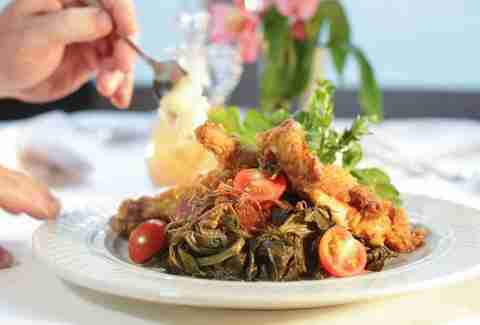 It’s another $40 for the buffet and one entrée including everything from cornmeal-crusted catfish to gumbo. The deal: $20 for bottomless mimosas, Bellinis, and Bloody Marys every Sunday starting at 10:30am and ending at 3pm, and the best deviled eggs in DC. The deal: Again, no bottomless option here. Luckily, at about $9 a pop, the breakfast drinks are handcrafted and super strong. Plus B Too serves egg in a waffle, which is fantastic. The deal: A $39 prix fixe brunch on Saturday and Sunday gets you unlimited food and drinks between 10am and 3pm. The deal: $15 for bottomless mimosas starting at 11am. The deal: No bottomless brunch here, but it serves breakfast all day and its famous “adult milkshakes” are fantastic. Get the Walk of Shame Breakfast Burrito and load up on milkshakes. The deal: For $23 you get bottomless mimosas, Bloody Marys, or screwdrivers from 11am to 2:30pm all weekend. Couple it with a hearty plate of steak frites. The deal: For $45 you get unlimited Bloody Marys and mimosas from 11:30am to 2:30pm on Sunday as well as a entrée. Get the bacon and cheese empanadas. 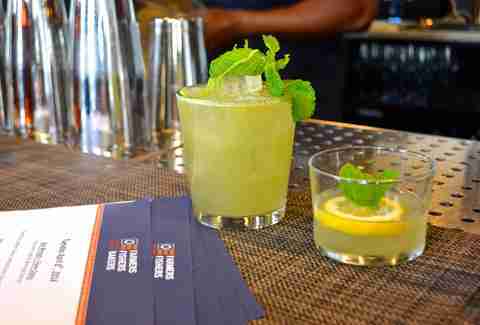 The deal: $39 gets you endless drinks, small plates, Bloody Marys, mimosas, and sangria from 10am to 3pm. 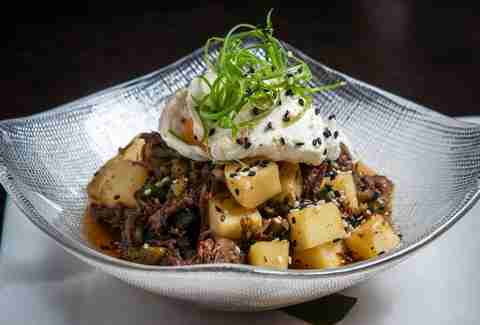 The deal: $32 for endless mimosas and sparkling wine, plus any two courses you want.